One week after Kurdish leader Masud Barzani held his referendum on Kurdish independence from Iraq (with both the referendum and independence being contrary to the Iraqi constitution), the blowback has been fierce, angry and almost universal. And now, presidential and parliamentary elections — hastily called in the wake of the Oct. 3 death of former Iraqi President and Kurdish political leader Jalal Talibani — have descended into a mess. Rather than settle “the succession” upon his eldest son, Masud Barzani may instead have opened a wider struggle over leadership of the Kurdish people. Yes, the KRG is reported as being a democracy, but in practice it is run, explains, Michael Rubin, as a (corrupt) family enterprise in which “both the Barzanis (and Talabanis) confuse personal, party, and public funds.” Rubin explains: “Masud Barzani is president and lives in a palace complex in a resort inherited from Saddam Hussein. His nephew, Nechirvan Barzani, is prime minister. His uncle, Hoshyar Zebari, was Iraq’s foreign minister and is now finance minister. Masud’s eldest son, Masrour Barzani, leads the intelligence service; and his second son, Mansour is a general, as is Masud’s brother Wajy. Barzani’s nephew Sirwan owns the regional cell phone company which, while purchased with public money, remains a private holding. Barzani’s sons are frequently in Washington D.C … [where] Masrour Barzani has acquired an $11 million mansion in McLean, Virginia”. While some in the West may see the Kurdish issue as one of justified national self-determination, that is not how it is perceived by neighboring states: It is seen, rather, as a deliberate “political” IED inserted into the most sensitive radial node of the Middle East, intended to explode the statehood of four major nations: Iraq, Iran, Syria and Turkey. This is an area so combustible to explosion precisely because ethnicities there are so diverse and because territorial claims on land — seized several times over in successive waves of ethnic cleansing — are almost impossible to resolve yet regaining those stolen lands remains a passionate objective for those who have been dispossessed. And it is not the case that the Kurds have been more sinned against (in respect to ethnic cleansing) than they are sinners themselves, as a “Seeking Alpha” business report explains: “the area [northern Iraq] used to be part of major ancient trade route … [which] over the centuries was settled by diverse populations. The last to settle were Turkic peoples during the Ottoman Empire … Kirkuk, in particular, is problematic as it’s claimed by Arabs, Kurds and Turkmen with the latter being the most likely to have a legitimate claim. Cui bono by stirring the pot of rival ethnic claims to territory (and 40 percent of Iraq’s oil resources), plus the potential fracturing of these four states? Iran’s Supreme Leader Ali Khamenei on Wednesday said plainly to Turkish President Recep Tayyip Erdogan that, in his view, the United States is seeking to create a new “Israel” in the Middle East through the Kurdish secession bid. (And Israel has made it pretty clear in ministerial comments that it welcomes and supports a Kurdish state and sees such to be in the Israeli interest). Syria, Turkey, Iran and Iraq have been watching events closely, ever since the U.S. (and some European allies) started to set up the 11 semi-permanent U.S. military bases in northern Syria – in areas in which the Kurds are prominent but not necessarily a majority. 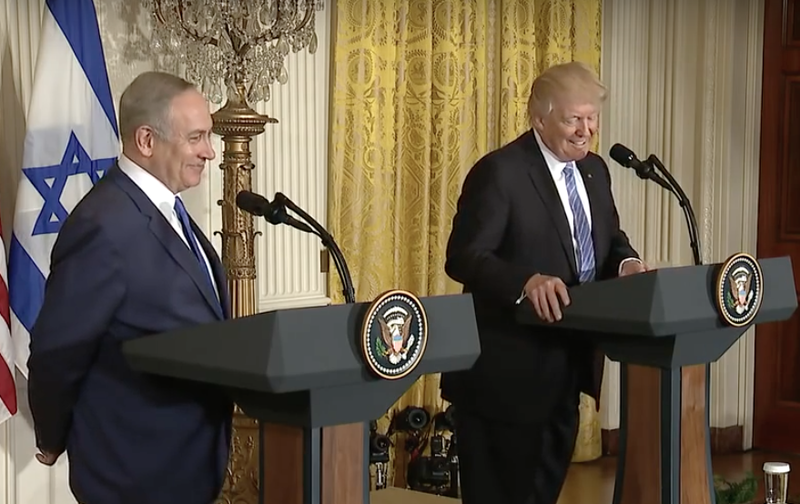 However, with the conflict in Syria edging toward conclusion and with Syria resisting plans for a buffer zone along the Golan armistice line and exclusion zones along the Syrian Iraq border, these four states plainly would not be happy about another, even bigger, pro-Western “buffer,” inserted right in their midst. Barzani, however, is not alone in wanting to reassert his leadership credentials, by playing the “nationalist” card: Iraqi Prime Minister Haider al-Abadi faces crucial Iraqi parliamentary elections next year with former PM Nouri al-Maliki close behind and breathing down his neck. Abadi’s tough response to the Kurdish referendum has proved popular with his electoral base and has succeeded in putting some distance between the incumbent and Maliki. 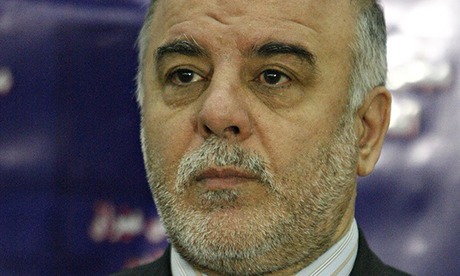 Remaining tough on the sovereignty of the state will be crucial to Abadi retaining the premiership. Reuters reports on measures already taken: “Baghdad retaliated against the referendum with an international flight ban on Kurdish airports, while Iran and Turkey launched joint military exercises with Iraqi troops at their borders with Iraqi Kurdistan. [The] Iraqi government has rejected a KRG offer to discuss independence. It demanded Kurdish leaders cancel the result of the referendum or face continued sanctions, international isolation and possible military intervention. It is likely that the four states – now closely coordinating – will pursue a process of constitutional attrition against the KRG. Baghdad will seek to regain control of the international airports in the KRG (it already controls the airspace); the regional borders; the oil supply – and Kirkuk, overrun by the Kurds in the wake of ISIS’s seizure of Mosul. The four states will squeeze the KRG economically, until the pips squeak, should Barzani try to use the Peshmerga to retain control of Kirkuk and its oil fields. The strategic shift here, from the past, is three-fold: All the KRG neighboring states are – for the first time – united in a common hostility to Barzani’s initiative (the KRG is landlocked, so this factor is significant). Secondly, that whereas the Kurdish Peshmerga forces used to have a free run in northern Iraq, in the wake of the 2003 war and the subsequent U.S. occupation, now there has been a major mobilization and arming of the Iraqi Hashd al-Sha’abi (PMU) forces. These forces are ready, willing and able, to take on the Peshmerga (the Kurdish militia) militarily in northern Iraq; and thirdly, Russia – though keeping a low profile on the Iraqi Kurdish issue – does, by contrast, take a strong position on Syrian sovereignty. Russia, since its arrival in Syria, has been in close touch with the Syrian Kurdish forces (that is to say, the external relationship to the Syrian Kurdish forces has never been a U.S. monopoly). Indeed, Russia has at times used its own forces to protect the Kurds from the Turkish army (i.e. at Manbij). And although Russia does not say publicly what passes between the Russian armed forces and the Kurds, it is a fair bet that the Russians are telling the Kurds to come to terms with Damascus or be militarily suppressed – should they try to interfere with the Syrian Army’s ongoing recovery of Syrian land (and its oil resources). So, the key question is how far will the U.S., bullied by Israel, go with this project? 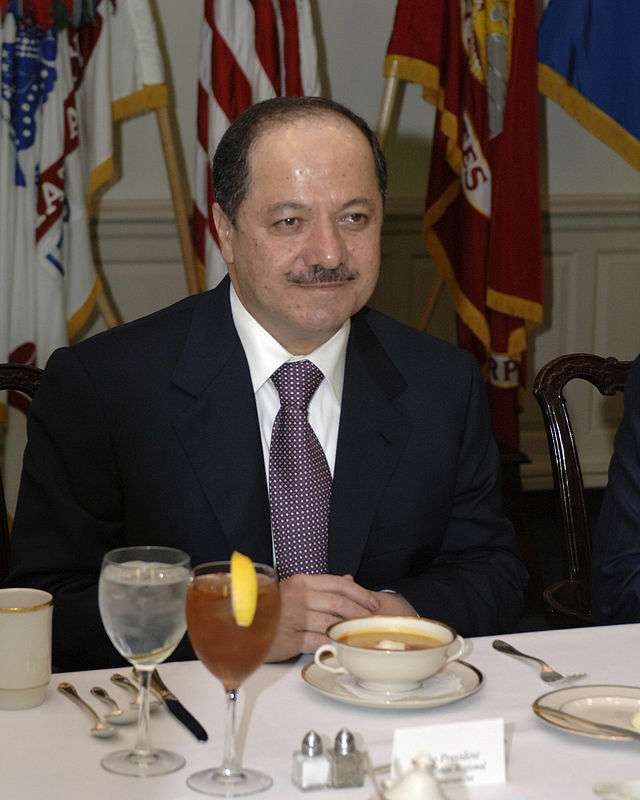 It seems that the U.S. government is divided on Kurdish independence – and as Michael Rubin suggests in his article, “Will Masrour Barzani be the CIA’s Latest Embarrassment” – and also is somewhat ambivalent about empowering a hereditary Barzani dictatorship. This refers to reports from international human rights organization of torture committed by Masrour’s security forces and of prisoners tortured and jailed when they refused to offer Masrour a percentage of their companies among other issues. On the one hand, therefore, the Barzani “dictatorship” is problematic for the U.S.’s reputation, and Kurdish independence could threaten the break-up of Iraq (which the U.S. is hoping to use to “roll back” Iran). But, on the other hand, Centcom (the U.S. military command for the region) has fallen in love with the Kurdish recruits Centcom is training in Syria, while the State Department worries more about the big-picture alienation of NATO-member, Turkey. In short, there is no clear U.S. interest (beyond that of Israel). And yet, events seem to fall into another, forming a pattern. Israel is concerned that it finds itself alone in the Middle East (its only sure ally, for now, being Saudi Arabia). Israel misplayed in Syria. It fears the consequential Iranian and Hezbollah presence in Syria, and doubts that either the U.S. or Russia will do – or can do – much to mitigate those fears. And so, the Israeli leadership is reacting by escalating its bellicosity (threatening to attack factories in Syria and Lebanon, which it says are manufacturing sophisticated missiles, or permanent Iranian military bases, or both). Iran’s Supreme Leader’s identification of a putative Kurdish state as “another Israel”; Hezbollah’s warning that Zionists should now consider leaving the region; President Bashar al-Assad’s expressed intent to regain all of Syria, and Ayatollah Sistani’s influential ruling against Kurdish independence, all seem a part of this same pattern: one of escalated warning and of new rules of deterrence. Essentially then, the Barzani “initiative” has become the peg around which a new deterrence paradigm is being set, and that his referendum ploy has already been quietly subsumed into this emerging regional stand-off.